GXA400 mud filter separator consists of mud circulation module, mud preprocessing module, and mud separator module. 1. Mud circulation module: waste mud is purified into circulation mud which stored in circulation tank by desander, the particles which layer down to lower section of tank will be pumped to mud preprocessing unit. 2. Mud preprocessing module: Additive is added to mud.After reaction, mud will be pumped to filter. 3. Mud separator module: mud which pumped is separated into clear water and filter cakes. 1.Mud is centralized processed, and can be reused; which is economic and environmentally friendly method. 2.The system has high integration density and small occupation area. 3. 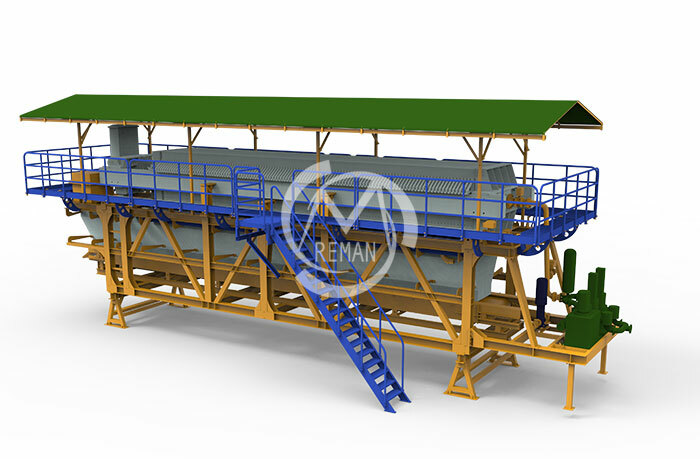 The system uses concentrate control, high production efficiency and low cost. The system can be used in construction of drilling, HDD, and diaphragm walls,etc. It also can be applied with abrasion drill, drilling rig, grab and hyromill, etc.